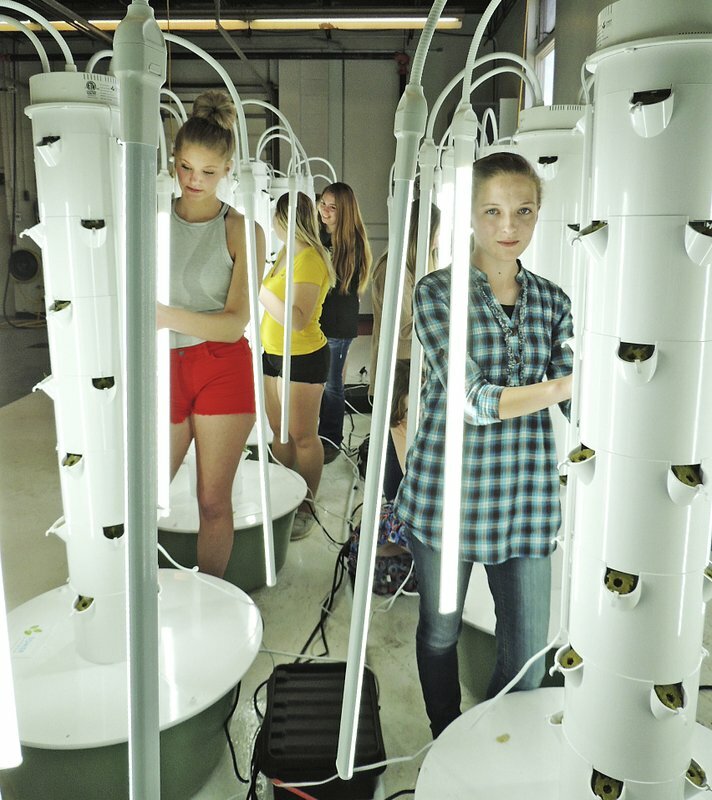 The future of growing is getting a test run at McCook High School. 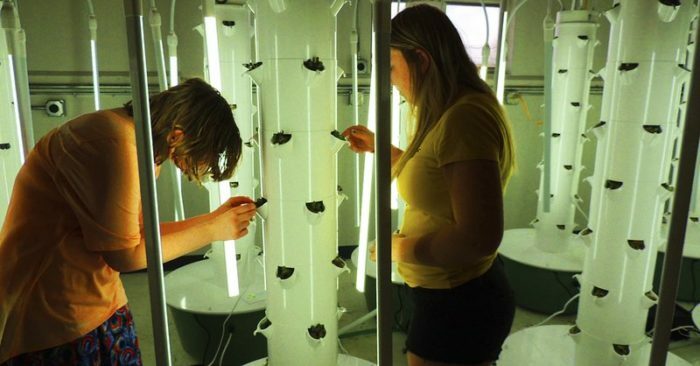 Thanks to several grants, FFA horticulture students at MHS are growing different types of herbs and vegetables in 12 vertical aeroponic tower gardens. Looking like something out of a 1940s sci-fi movie, garage space formerly used for welding is now illuminated only by the ghostly glow of LED lights that surround each six-foot tall growing chamber. Tiny seedlings, planted in rock wool (chalk and rock), protrude out of 28 pockets on each tower, their roots dangling on the inside of the tower. Water infused with nutrients is pumped from the bottom of each tower to the top and trickles down inside the tower, three minutes on and 12 minutes off, around the clock, the McCook Gazette reported.